St. Patrick's Mid-Hudson Parade Committee Inc.
St. Patrick’s Parade Committee, Inc.
Area Irish clubs began the Mid-Hudson St. Patrick's Parade Committee in 1979 to honor the patron saint of Ireland, as well as the Archdiocese of New York, in which Orange County is located. 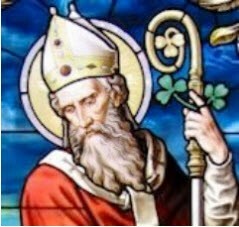 St. Patrick's mission to the Emerald Isle forever influenced its history. The parade provides a focus for the celebration of a heritage of a dynamic people and its contributions to humankind. The Parade Committee is non-profit, supported by donations, a raffle, Irish Day, and the Journal. The Committee also presents Mid-Hudson Irish Day every year. Irish Day brings together many things Irish, including music, dance, song, Irish history and traditions. Starting in 1976, under prior sponsorship, the parade took place in Middletown. Then it moved to Monroe for two years before going to Greenwood Lake, then Goshen for two years, then back to Monroe again for two years. From 1987 through 1993, the parade took place in Chester. The parade then returned to Monroe for two years, followed by two years in Montgomery, two years in Cornwall, two years in Middletown, and one in Highland Falls. This is our fifteenth year in Goshen. An objective of the founders was to share the parade with communities around the Mid-Hudson by moving its location, and that objective has been realized.